Jeep has been quite a popular auto brand the world over. From its claim to fame in World War 2 as a versatile military vehicle, to their late models, Jeep has withstood the test of time. The reality is, too many people drive too fast, too often. Accidents usually happen because of this need for speed. One solution? Automatic brake assist systems. The new Jeep Cherokee is equipped with this. During emergencies, the brake assist automatically applies maximum braking power. In turn, this shortens stopping distance, preventing most collisions. And that isn’t everything. The new Jeep Cherokee also has forward-facing radar to further prevent crashes. If the radar detects the Jeep moving too fast onto anything in front, it alerts the driver. You can then take evasive action before it’s too late. The auto brake assists paired with the forward-facing radar warning system is a power couple for safety. It ensures that everyone both inside and outside the Jeep remains safe. Over the years, people have shunned Jeep models for fuel efficiency issues. But the new Jeep Cherokee changes that. With up to 31 miles per gallon on the highway, it’s one of the most fuel-efficient Jeep models ever made. The Jeep Cherokee has the chassis of a passenger car. The shape, being aerodynamic, helps a lot in its fuel economy. Having less air drag on its body, the Jeep can run fast with less engine power. Remember the Jeep being a versatile asset in World War 2? Well, the Jeep Cherokee has retained that trait. It goes smoothly on road, as well as off-road. The new Selec-Terrain system augments this all-terrain ability. Selec-Terrain has five driving modes for different conditions. 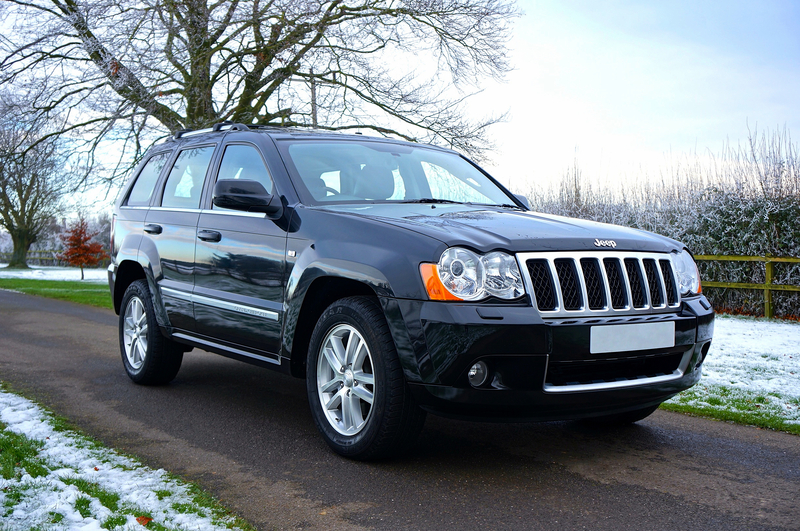 So whether you’re on sandy, muddy, snowy, or rocky terrain, Jeep Cherokee can handle it. For everyday driving on the road, just set the Selec-Terrain system to Auto mode. Hills and steep inclines won’t be issues either. Selec-Terrain can adjust for different incline angles, both uphill and downhill. The system automatically adjusts the throttle and switches to front-wheel drive mode when needed. Despite being an off-road warrior, the Jeep Cherokee is also classy. On the inside, you’ll find ultra premium interiors. The Jeep’s inside is as modern as can be, with state of the art eight-way power driver seats, dual-zone climate control, a satellite radio, and the main console sporting an 8.4-inch touchscreen display. And don’t expect to bounce around the vehicle, even in rocky terrain. Off-road suspension coupled with a 1-inch factory lift makes any ride a smooth one. Even when scaling rocky trails. These days, “modern” is not complete without an interface for your smartphone. The Jeep Cherokee also covers this, thanks to the wireless charging hub. It’s conveniently situated right in between the front seats. With this, you can easily grab your phone to take a quick look at Google Maps, or to take a quick call. No more cables to mess about with. Though we still do not recommend using your phone while driving. It’s always best to pull off to the side and stop first before taking that call. Do you have a Jeep Cherokee yourself? Great then. You own one of Jeep’s best models to date. Eventually, though, you’ll need some spare parts for your Cherokee. High Tech Auto Parts provides all the Jeep Cherokee parts that you'll ever need. Not just that; but you can also get your Jeep parts online, from various models. Browse our website to find the part you need right now.